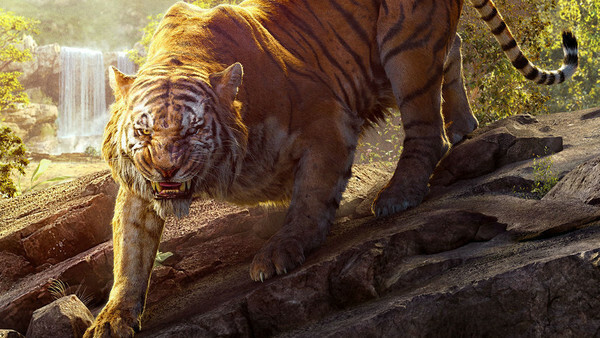 When Disney first announced there was a live-action remake of The Jungle Book in the works, fans came together to ask one simple question: "Why?" We all said it, because it was frankly unfathomable to think of a good reason as to why it was happening; why did a film that already exists in its perfect Disney animated version need to get the remake treatment? Yet, despite all the objections and the snarky comments and the declarations to only watch the film on a friend's Blu-ray (as to not contribute any money directly to the Walt Disney company), it didn't stop everyone from rushing out see it the first chance we had. The evidence speaks for itself: The Jungle Book, which I'll be the first to admit is absolutely fantastic and arguably better than the original, pulled in a whopping $103 million over the course of its opening weekend and has since grossed $314 million - a figure which will have several notable cinematic repercussions and no doubt inspire a number of changes in Hollywood in the coming months and years. To kick off with what is probably the most obvious implication of the lot, the massive success of The Jungle Book will undoubtably result in - you guessed it - more Jungle Book movies. Because that's how this works. You've probably already heard that Disney have put a second movie into production, based on the film's opening week successes in Asia and with an aim to bring back director Jon Favreau, but given the film's overwhelming (and even surprising) success during its first worldwide opening week, it seems likely that this is going to be poised as a new mega-franchise of sorts, with tons of sequels on the cards. Which means that we can all probably expect the announcement of The Jungle Book 3 and The Jungle Book 4 in the coming months, or the news that the studio have decided to shoot, like, seven sequels back-to-back. Oh, and don't forget the possibility of that Kaa spin-off or Baloo origin story (you know they've thought about it).